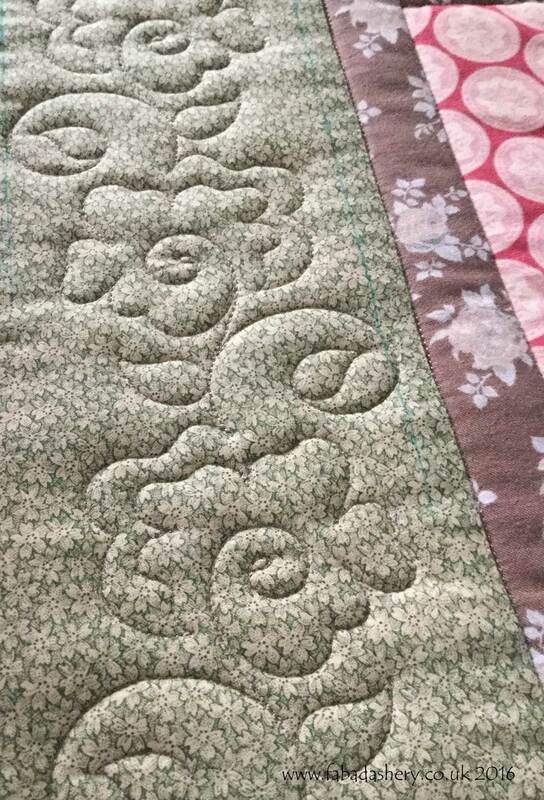 Do you have any UFO's in your cupboard? 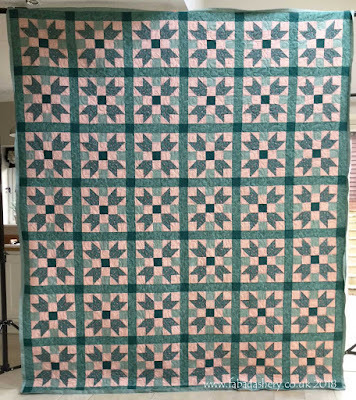 Hazel had made this huge quilt featuring the Sister's Choice quilt block, several years ago and had even started to hand quilt it. 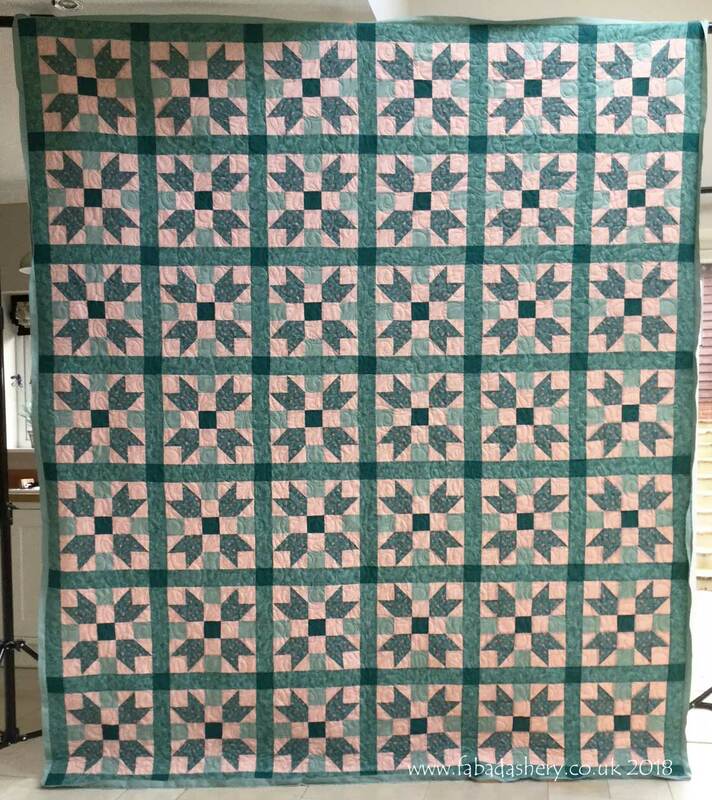 At 92" x 106" it was going to be a mamouth task. 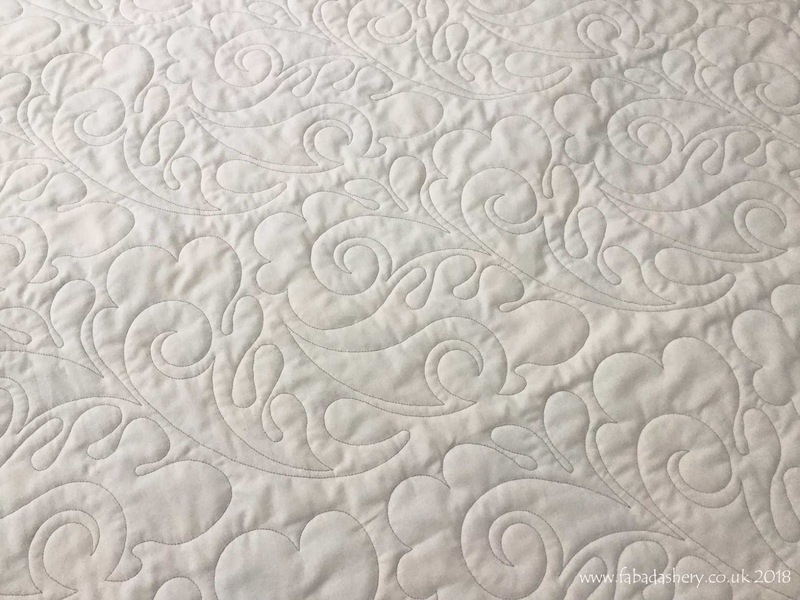 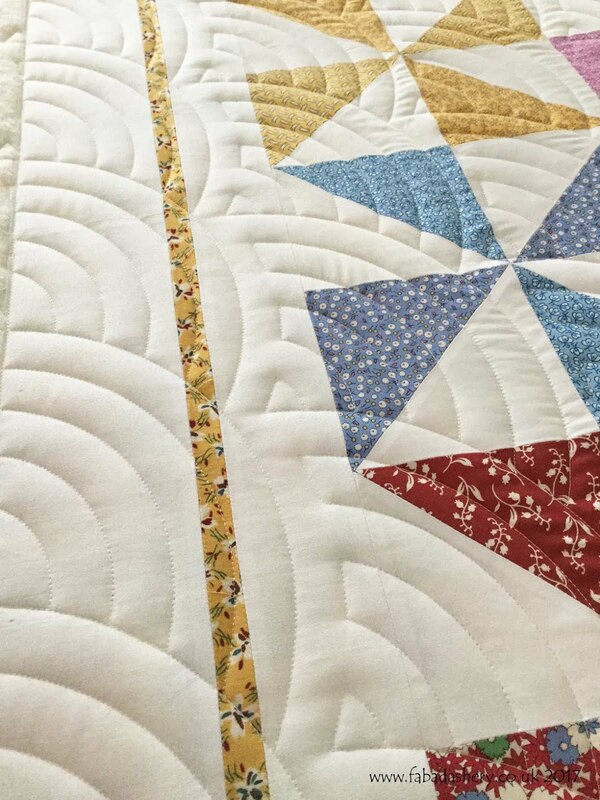 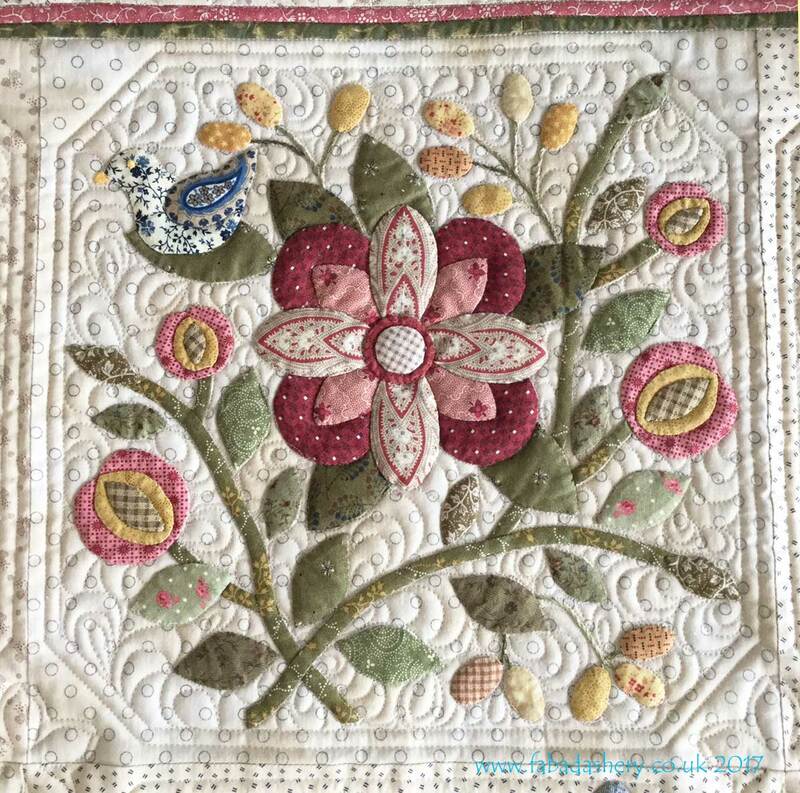 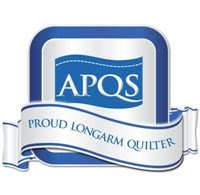 However, the arrival of a new bed prompted her to pull it out of the cupboard and to seek help from Fabadashery Longarm Quilting to get it finished. 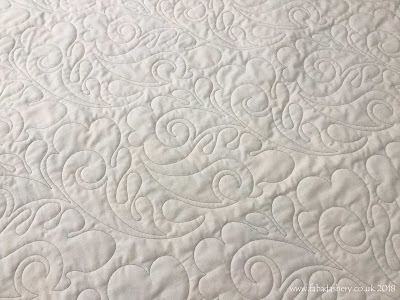 Within a few days I had quilted the quilt top for her and added the binding, allowing her to add the finishing touches of hand sewing down the binding and putting it on the new bed. 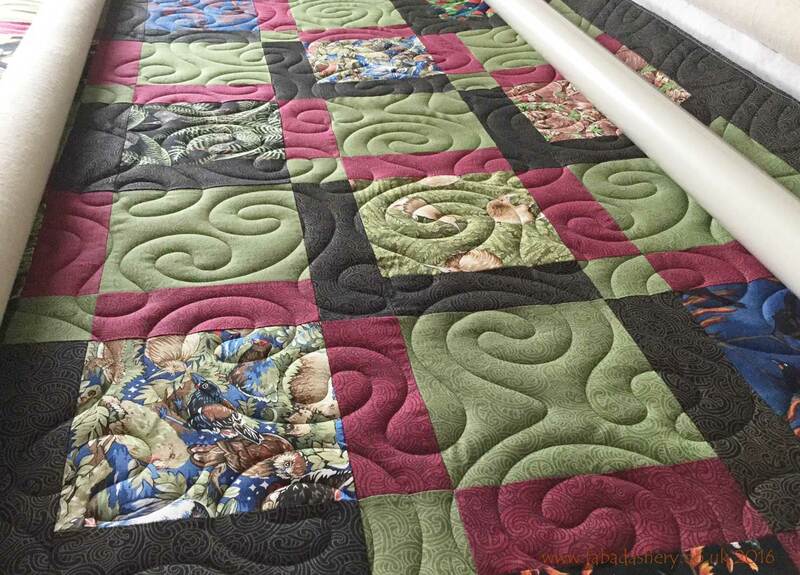 To go with the traditional style of her home, Hazel chose the 'Paisley Feathers' digital pantograph, stitched in a warm soft green thread, German Granite by Glide. 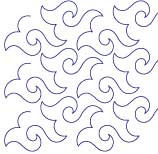 It is great to be able to help out! 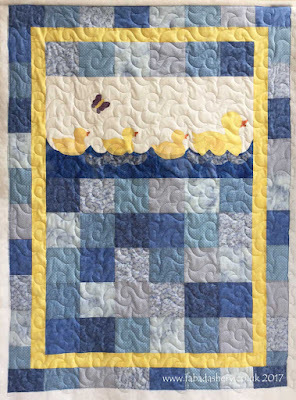 This is a quilt I quilted for Dilys several months ago, so I expect the recipient has already received it and hopefully had good fun using it. 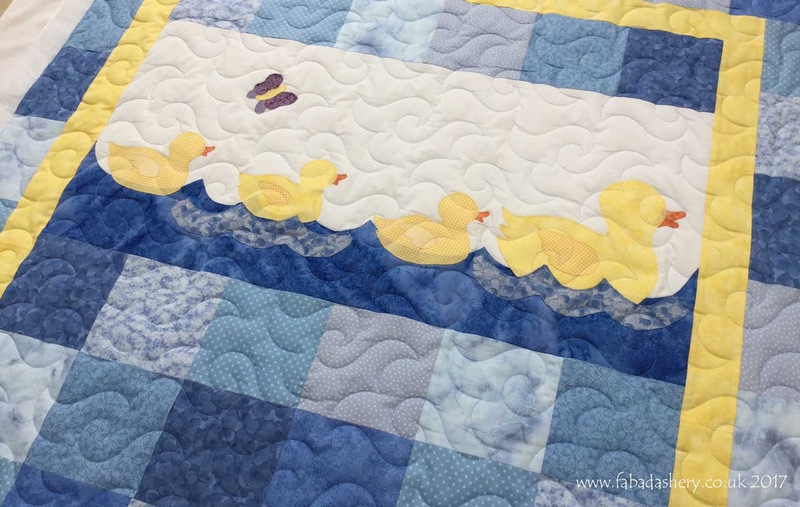 Dilys chose a simple pattern to go all over the quilt, 'Happy Times', a pattern which had the look of water, so the chicks look as if they are bobbing up and down! 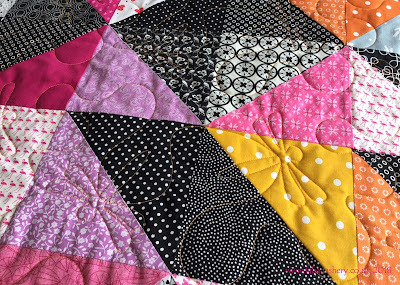 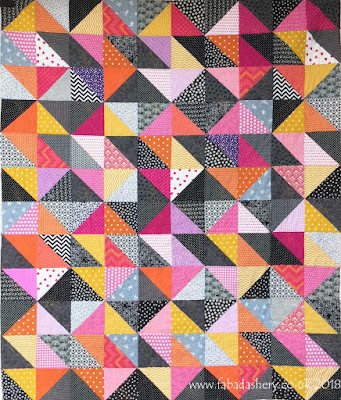 I love making half square triangle quilts and so I was delighted to see Sherry bring along this modern take on the HST. It really shows how a choice selection of fabrics can be combined to make a stunning quilt. 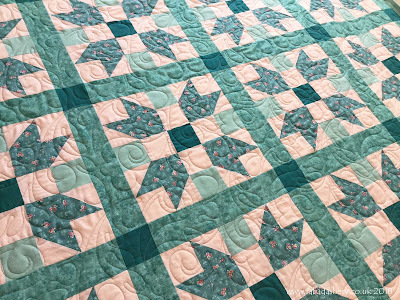 It was just one of three quilts which she brought to me for longarm quilting last summer, which were destined for her grandchildren who live the other side of the world. 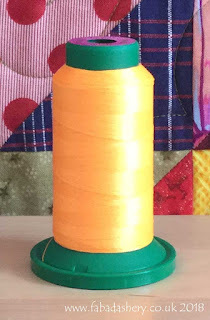 We had fun choosing the quilt patterns and thread colours for each and for this particular one we chose a bright neon orange thread. 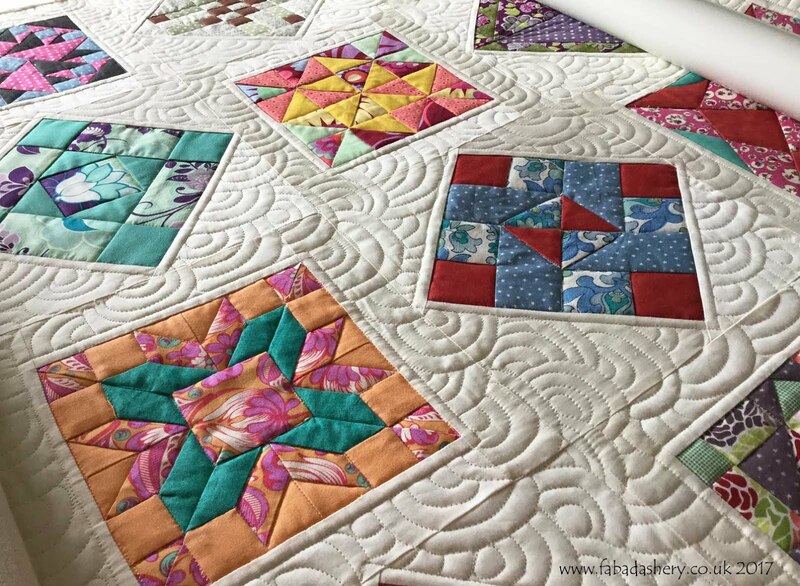 I have posted a short video of this quilt being stitched out on my Facebook page and you can view it at the very bottom of this blog. 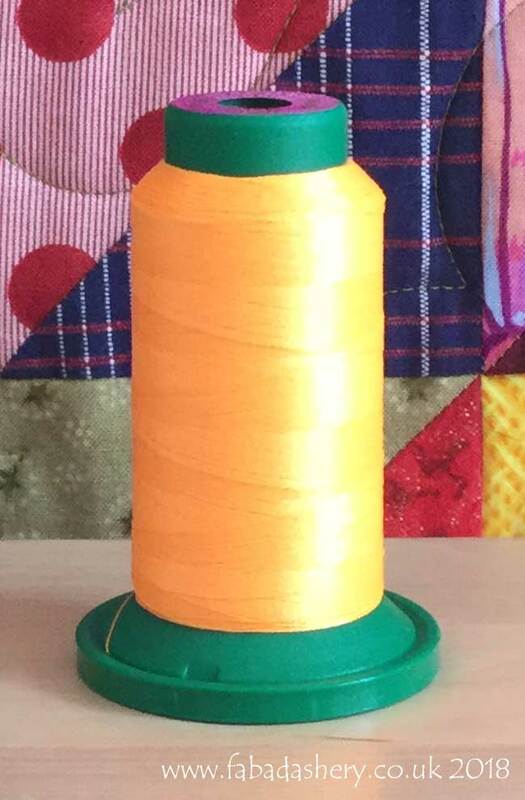 The LED setting on my longarm machine highlighted the fluorescence of the thread and looked AMAZING! 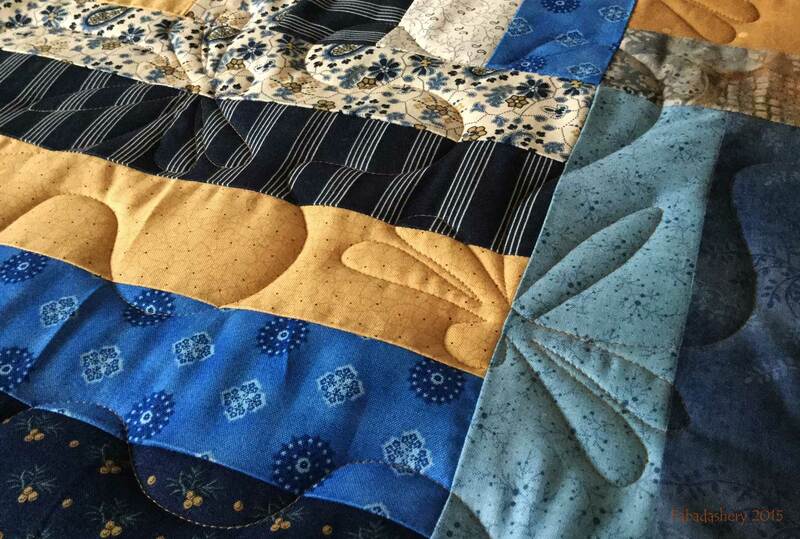 On the rare occasion that the quilt is under the same particular lighting, the dragonflies should glow, but otherwise it will just look like ordinary orange thread. 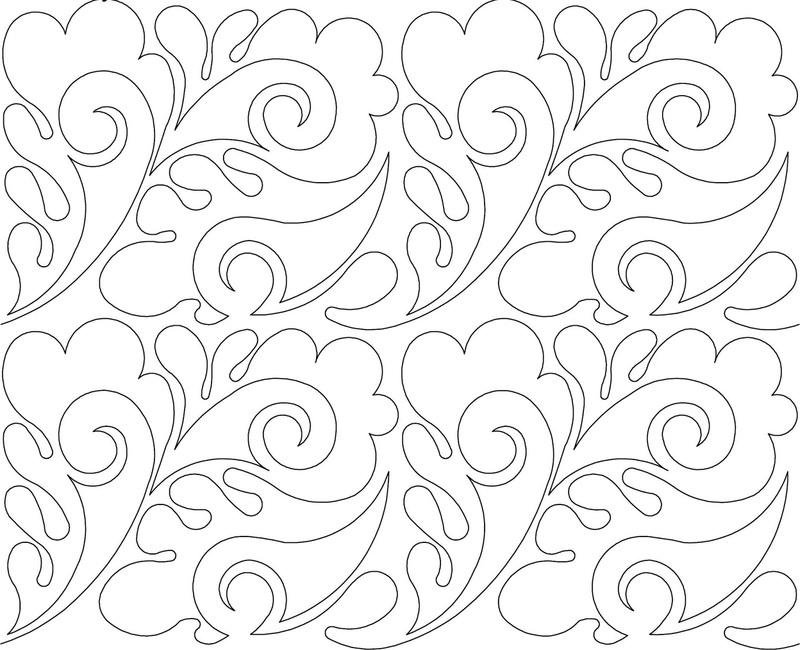 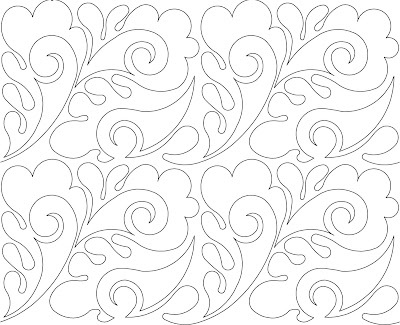 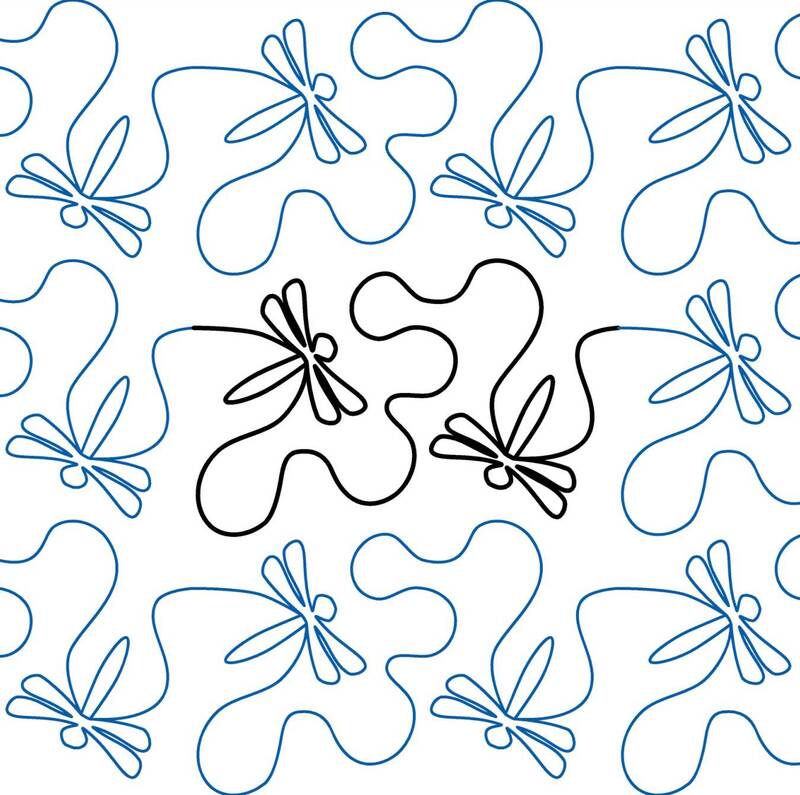 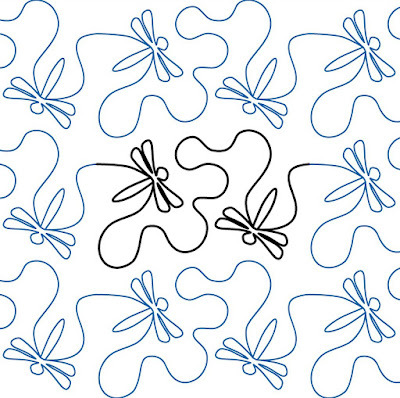 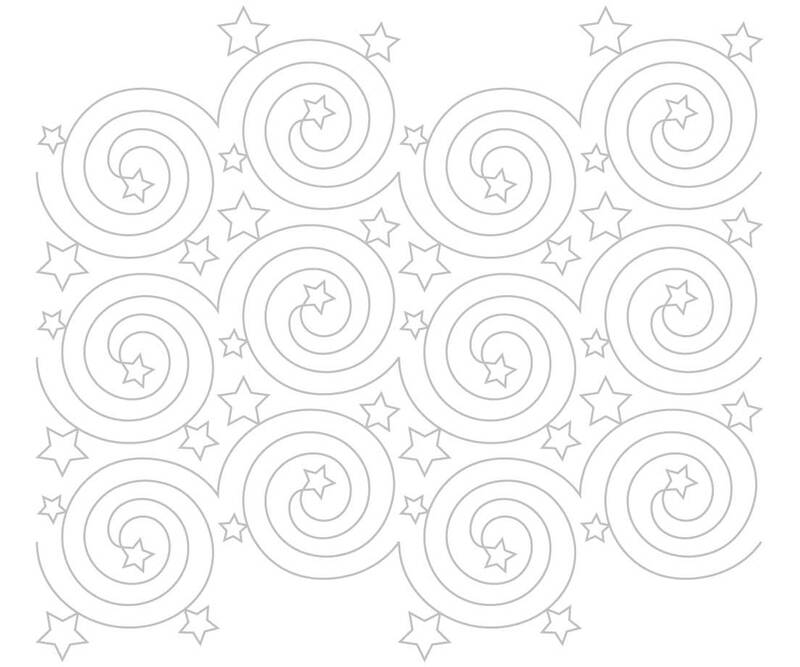 Here is the digital quilting pattern which we used, 'Dragon Wings', always popular and always gives great results on a quilt. 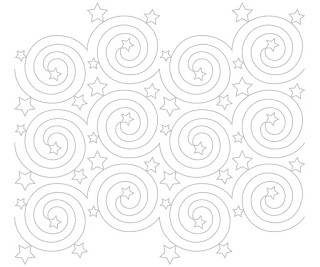 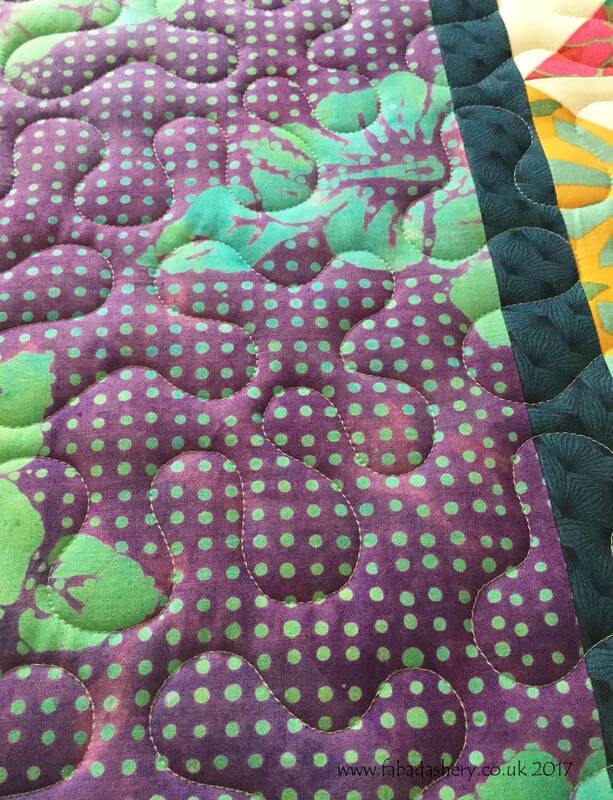 For the digital quilting pattern we used one of the popular patterns of 2017, 'Nightlight' by Patricia E Ritter and Marybeth O'Halloran. 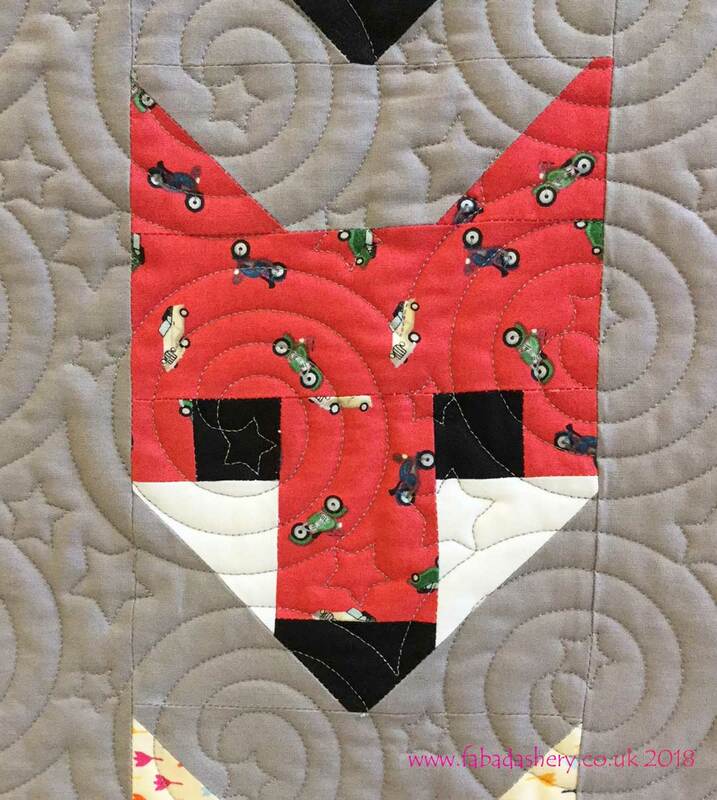 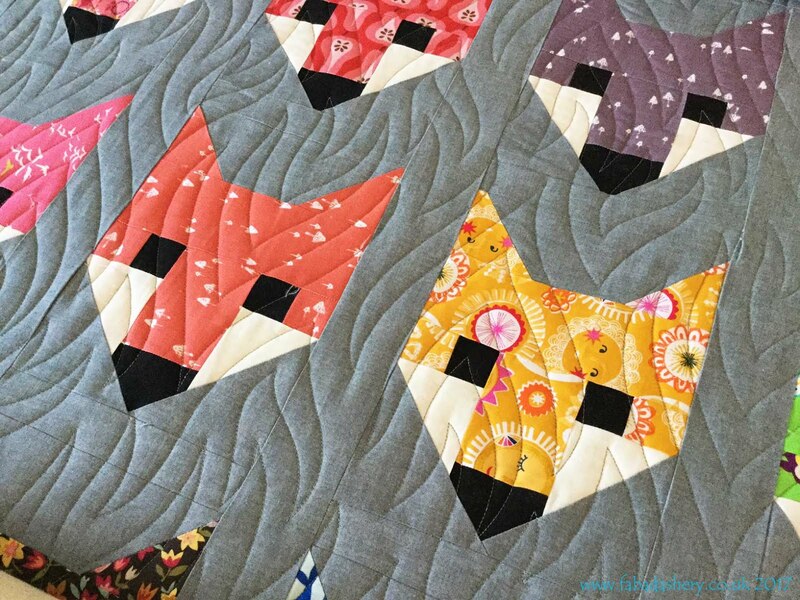 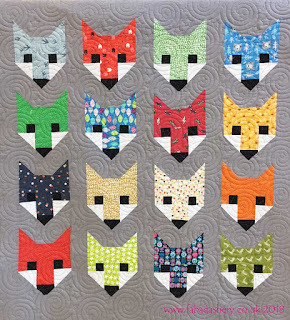 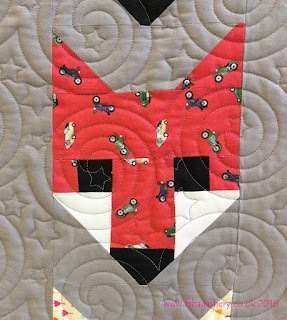 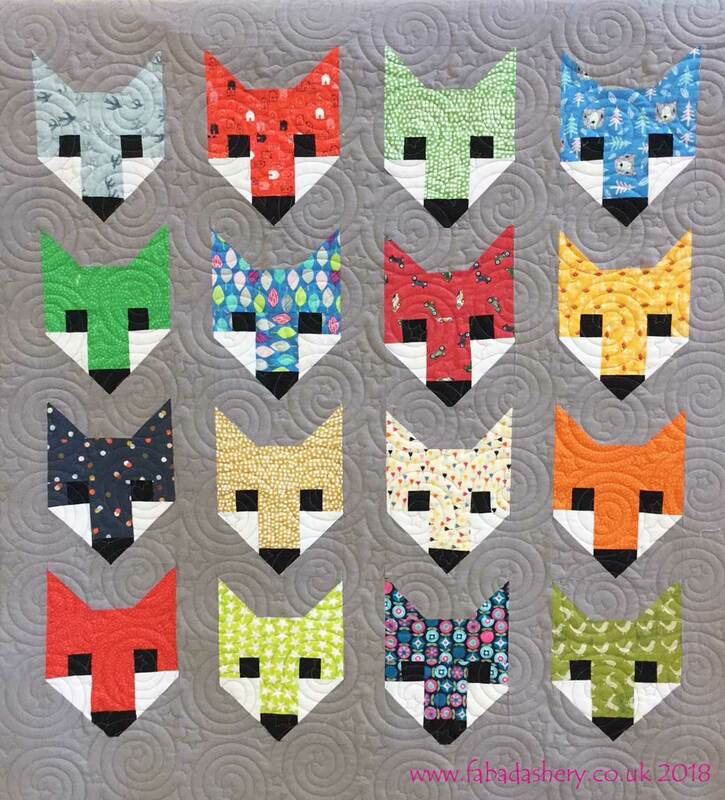 This is such a popular quilt pattern that I expect to see lots more Fancy Foxes in the future!